The more I teach writing, the more I consider student writing and internal dialogue. Students’ internal dialogue, not mine. I’ve taught this, right? I did a bad job teaching this. Grammar, agreement, comma splices, should I be using red ink? Purple? Would this argument make sense to another teacher? Am I doubting myself because I fear hurting a student’s feelings? Am I “sandwiching” feedback effectively? Is it fair not to point out these organizational errors? Am I preparing students for college? Will they be ready? Will they be able to effectively reply to emails at a job? Is this an effective thesis? And on. So, my mind races as I grade writing. I feel immense pressure (as I’m sure other ELA teachers do), and I have developed coping methods for grading papers: checklists, batching, re-reads. As I continue teaching, I’ve learned to control my internal dialogue. What I’ve realized is that what I say to students – what part of my internal dialogue is – becomes their internal dialogue. I need to be aware of my remarks. I’m aware that my remarks might become students’ internal dialogue. For those reasons, I follow these simple guidelines when grading student writing to be considerate of students’ internal dialogue. I edit with students as we read through their rough drafts. 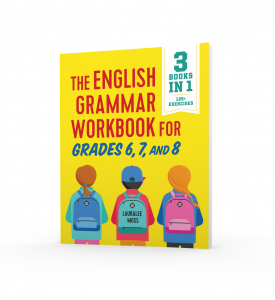 All the grammar errors – we work on those together. I try to catch and address most. Editing (hopefully) ends there. If students turn in a final draft with editing errors, I make a note of what they should understand (agreement, complete sentences, capitalization). I don’t highlight every error. I want students to know a problem, but I don’t find every single problem. If I return a paper with every error highlighted and marked, students will shut down. They will be overwhelmed. Their internal dialogue will not set them up for success. I help my students set goals for speeches, and goal-setting works well with papers, too. Teachers can easily differentiate and personalize lessons by setting goals with students. Some students must focus on complete sentences while others improve pronoun use. Set a goal for a paper if you notice numerous problems while editing. As students improve their writing, the goals might move away from mechanics. Organization or verb-use might become a larger focus. Meet students where they are with a goal. Hopefully, setting a goal and working toward it will become an automatic part of student dialogue. What is right in front of students, at this very minute, might be what they are considering. 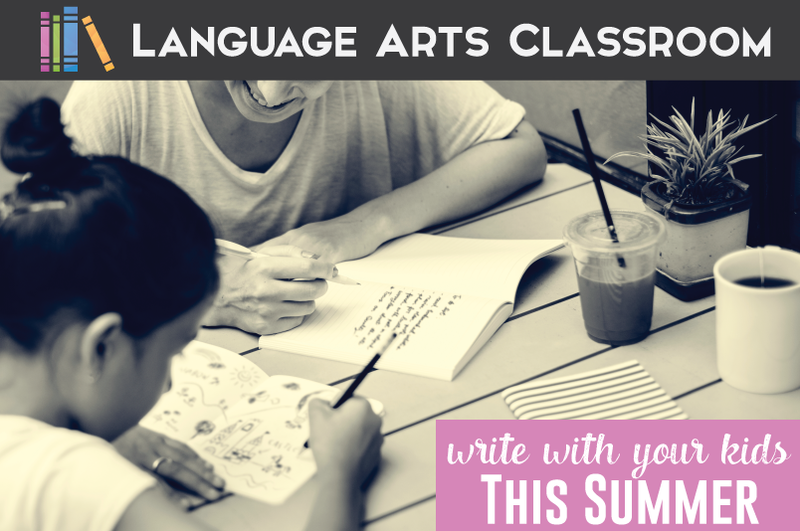 Overall, of all the proposals, briefs, and emails that these young people will write in their lives, they are at the beginning of their writing careers. Tell students that. They have many more years of building vocabulary and working on sentence fluency. Their teachers will help and provide support along the way. Writing is a team effort, and they will have many opportunities for practice. Providing a big picture helps me to focus myself while grading papers. Students need a big picture so that idea becomes part of their internal dialogue. Students need to hear that they will write in their future careers and that their words have meaning. All of the “big picture” ideas help with student writing and internal dialogue. 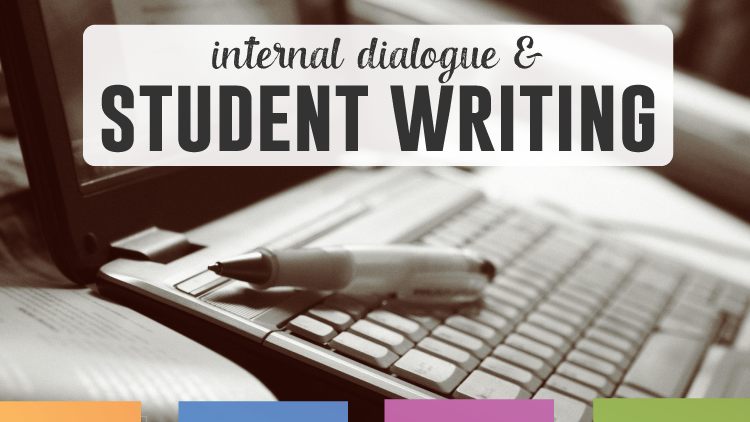 Student writing and internal dialogue are linked. As much noise as I have in my head as I grade student work, I can’t imagine transferring that to students. When I reflect on grading writing in my earlier years, and while I know I had best intentions, I fear that I created hesitant and panicked writers. Students should (of course) take writing assignments seriously and be devoted to improvement. My job as the adult should include guiding and pacing them, not creating a negative internal dialogue for them. 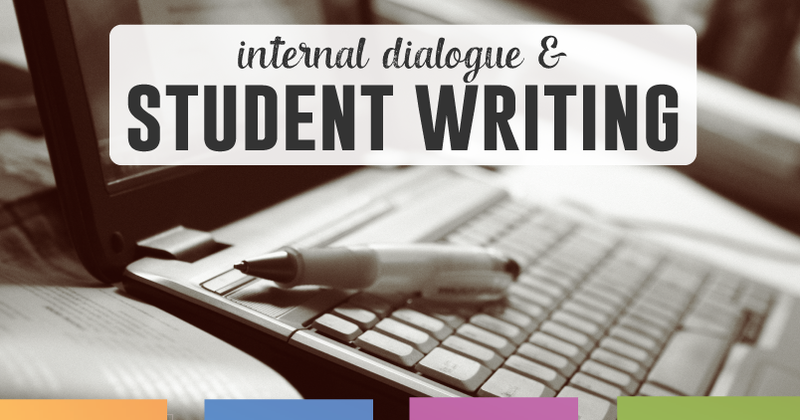 What do you think of student writing and internal dialogue? 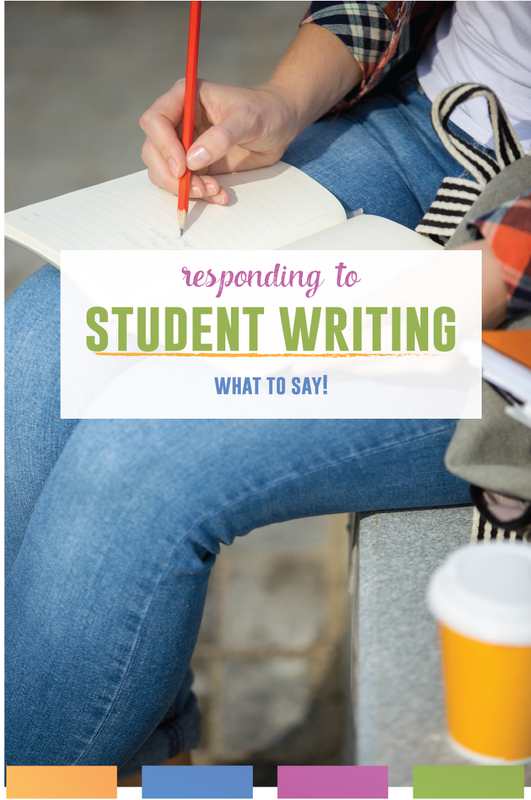 Read what Melissa from Reading and Writing Haven discusses her ideas about student writing and their dialogue.